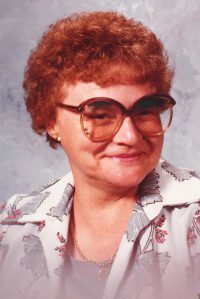 Donna A. Booth – 84 – of 131 Hornell St., Hornell, formerly of Canisteo, died Sunday afternoon (July 29, 2018) at St. James Mercy Hospital, following a long illness. Born in Hornell on August 7, 1933, she was the daughter of Harold & Eva (Golusha) Brewer. Donna grew up in Hornell and was a graduate of Hornell High School (Class of 1951). Following high school graduation, she was employed at the former Woolworth Department Store, working at the lunch counter. She was married in 1952 to Hugh G. Booth who was a career member of the US Military, first serving in the US Army and later serving in the US Air Force. Being a “military family”, they resided in many locations throughout the years, including Florida, Texas, Japan and Anchorage, AK. Donna moved back to the Hornell / Canisteo area in the mid 1970’s and resided in Canisteo for about 20 years before moving to Updyke’s Nursing Facility about 2 years ago. For many years, Donna worked as a Private Home Care Provider in the area. She was a member of the Hornell Moose Lodge, the Hornell VFW and the Canisteo American Legion. Donna enjoyed taking long car rides with her companion of 38 years, Bob Gennett and also enjoyed going to casinos and playing “flip tickets”. Donna was preceded in death by her husband, Major Hugh Booth; twin sons, Richard & Raymond Booth along with another son, Richard Booth; her sister, Beverly Cameron. Surviving are her loving companion, Robert “Bob” Gennett of Canisteo; her daughter, Eva (William) Boyles of Hammondsport; her son, Hugh (Terry) Booth of Watertown, WI; grandchildren, Thomas (Jamie) Downey, Leslie (Elo) Bauch, Jamie (Greg) Ferrero, Lindsey (Todd Updyke) Downey, Alex (Peter) Smith and Richard (Alicia) Booth; great-grandchildren, Brandon, Tyler, Antigone’, Felicity, Annabelle, Laela, Hudson, Guadalupe, Lorelai, Marissa and Brenton; several nieces & nephews. At Donna’s request there will be no calling hours. Private services will be held at the convenience of the family. Donna’s family request that in lieu of flowers, memorial contributions in her name be made to either the Hornell Humane Society or to the Wounded Warrior Foundation. I’m so sorry for your loss. I have many wonderful memories of Donna….mostly from the VFW . Such a wonderful lady and always smiling. She will be sadly missed. How blessed I was to have known her for many many years. Sending sympathy and prayers. Kim Wood. I’m sorry for your loss. May the God of all comfort be with you diuring this difficult time. You have my condolences.